Genius is what that was. 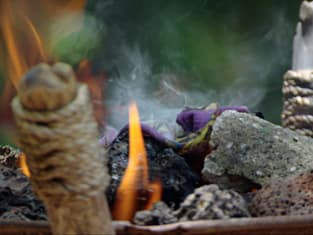 The above quote, uttered by David after the former Ometepe tribe’s bold move at this week’s tribal council, represents the only moment when it seemed that anyone besides Boston Rob was really thinking about the game. The rest of the former Zapateras couldn’t figure out why Boston Rob and Ometepe would seemingly turn on one of their own. But David realized the brilliance of removing any doubt to Ometepe’s plan. The former Ometepe’s still have the numbers, so getting rid of Matt doesn’t matter from that perspective. Only Andrea was even remotely close with Matt and the former Zapateras overestimated Matt’s connection with her. All Matt really did for all of the former Ometepe’s was present someone who might ruin their plan by changing sides. Knowing that they needed at least Matt to flip to force a tie, Mike, the ring leader of the former Zapatera effort to get Matt to their side, relied on a note which simply read “vote for Grant and you’ll be in the top three”. Really, Mike, that’s the best you can do? Your word that you can get Matt to the top three when there are twelve people left in the game? 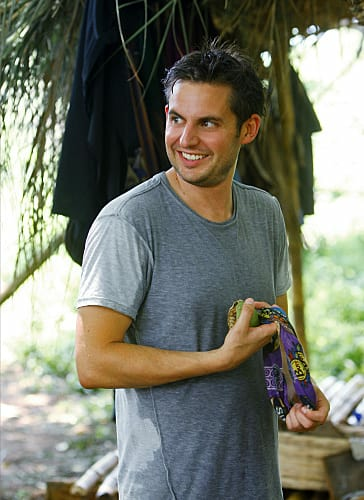 Why not give Matt more power to control his own destiny by handing him the immunity idol. Sure, there’s a risk that he’ll just take it and stay with the Ometepes, but if he doesn’t vote with them, they’re dead anyway. They’d need to get lucky on a one in five guess of using the hidden immunity idol on the person the Ometepes were voting for. This isn’t a better solution? Far more importantly, isn’t this a stronger showing of their loyalty to Matt? Even if Matt can’t get Andrea to flip – and again, they overestimated his bond with her – if just Matt votes with the former Zapateras a six-six draw is formed and their odds of surviving have gone from 20% (one in five) to 50%. From Matt’s perspective he can play the idol right away if he’s nervous that he’s going home. Even if he’s not, having the idol relieves any stress Matt might feel about being on the bottom rung of the Zapatera alliance. The former Zapatera tribe members did not choose to go this route, in fact they didn’t even consider it. Now they’re still down in the numbers and do not have a hidden immunity idol. Way to go, guys. However, this wasn’t the only example of player’s being irrational with their game thinking this week. Starting with the fallout from last week’s tribal council, why was David ok with Ralph voting for him? What does telling Ralph this accomplish? What does cutting him off from explaining himself accomplish? It’s almost like David was more interested in appearing confident than hearing what his tribe mate had to say about writing his name. Then there’s the person who was actually voted off, Sarita, who wasn’t even angry with her tribe for sending her to Redemption Island. Upon meeting Matt at Redemption Island she tells him that there are good people on her tribe. Really? They just voted out even though you argued at tribal council that they shouldn’t. Makes you wonder if she even believed the arguments she was making. Certainly the biggest idiot this week was Matt. First, he confronts Grant about why he was sent home and immediately buys his BS line about them worried he was working with Kristina. How was Matt’s reaction not something to the effect of “Kristina?!? I never said a word to her”? Instead he just says “oh, ok”. Later Matt gives Boston Rob the ammunition he needs by telling him about his plot to vote him out. Once again, these people can not keep their mouths shut. All Matt needed to do was tell Rob he was with Ometepe. What good comes from “coming clean” with Boston Rob? 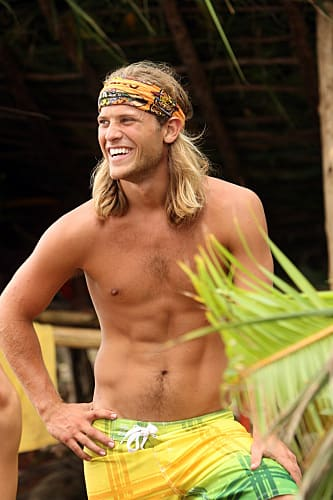 Has anyone benefited from coming clean in Survivor before? And then he puts the cherry on top by selling out Andrea, in front of Boston Rob no less. For all of the Philip-haters out there you better get used to him. He’s not a threat to anyone and his alliance is in power. He’s also a great candidate to take to the finals because he’s crazy. He’s not going anywhere. Speaking of Philip, it’s clear now that Jeff knows how to push Philip’s buttons to create good television. I’m sure Jeff knows Philip’s a train wreck and I’m sure he also knows it makes for great television. As hilarious as Boston Rob’s commentary on the Mike/Matt Christian coalition that was forming, there was a lot of Survivor experience in there. Rob knows the power of groups, whether it be a pair or more. The trust that builds in a group which bonds over non-game activities is much stronger than any alliance. Breaking that up makes sense. Did anyone else notice that Jeff made no comments about the Murlonio tribe name that Boston Rob hilariously suggested? I figured Boston Rob would be outed when Jeff did that, but we never saw anything.